The data relating to real estate for sale on this website is provided in part by Berkshire Hathaway HomeServices Fox & Roach and the Jersey Shore MLS. Information deemed reliable but not guaranteed. The property information provided on this website is for the personal, non-commercial use of consumers and may not be used for any purpose other than to identify prospective properties consumers may be interested in purchasing. � 2019 Jersey Shore MLS and Berkshire Hathaway HomeServices Fox & Roach. Allrights reserved. The data relating to real estate for sale on this website is provided in part by Berkshire Hathaway HomeServices Fox & Roach and the IDX program of the Cape May County Multiple Listing Service, Inc. Information deemed reliable but not guaranteed. The property information provided on this website is for the personal, non-commercial use of consumers and may not be used for any purpose other than to identify prospective properties consumers may be interested in purchasing. � 2019 Cape May County Multiple Listing Service, Inc. and Berkshire Hathaway HomeServices Fox & Roach. All rights reserved. The data relating to real estate for sale on this website is provided in part by Berkshire Hathaway HomeServices Fox & Roach and the IDX program of the Monmouth Ocean Multiple Listing Service. Information deemed reliable but not guaranteed. The property information provided on this website is for the personal, non-commercial use of consumers and may not be used for any purpose other than to identify prospective properties consumers may be interested in purchasing. 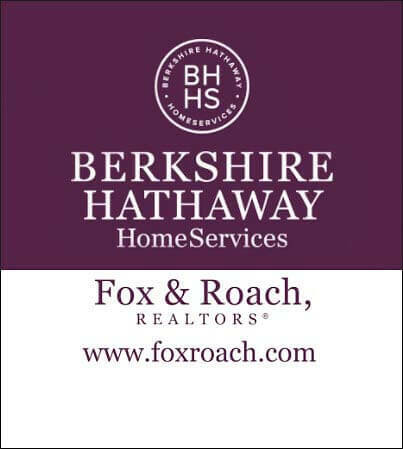 � 2019 MOMLS and Berkshire Hathaway HomeServices Fox & Roach. Allrights reserved. The data relating to real estate for sale on this website is provided in part by Berkshire Hathaway HomeServices Fox & Roach and the Reciprocity program of the South Jersey Shore Regional MLS. Information deemed reliable but not guaranteed. The property information provided on this website is for the personal, non-commercial use of consumers and may notbe used for any purpose other than to identify prospective properties consumers may be interested in purchasing. � 2019 South Jersey Shore Regional Multiple Listing Service and Berkshire Hathaway HomeServices Fox & Roach. All rights reserved. You are searching properties for sale in Atlantic City, NJ. There are thousands of listings including homes, condos, townhomes, foreclosures, and new homes/new construction. View information about public schools and private schools serving in Atlantic City, NJ, plus reference community statistics and demographics.